Learn how to change the group gasket and shower screen on your espresso coffee machine. In this video, ECM shows you how to change the group gasket and shower screen. We are using a Mechanika IV Profi (rotary pump). 01) Pry out the shower screen with a flat device. 02) Assemble the new parts. The ECM-logo should face upwards. 03) Insert the new shower screen. 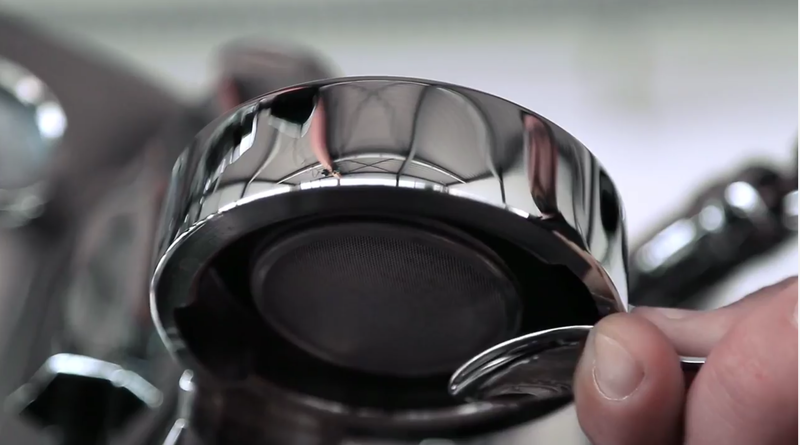 04) Take the portafilter without a filter and insert it in only one phase of the brew group. 05) With the help of the portafilter, lever the group gasket upwards. 06) Insert the cup filter. 07) Completely insert the portafilter and lever the group gasket into the brew group.